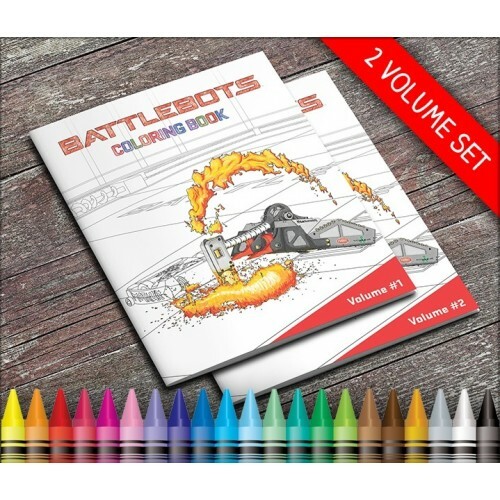 The BattleBots coloring book: Page after page of robots from the BattleBots TV show, ready for your colored pens, pencils and crayons! This two volume set contains nearly 100 robots from the 2015-2018 seasons (94 pages in all). And we’ve added a few BattleBots Design Challenge pages where you can design your own fighting robot.